What have you been up to, Miss? Thanks for asking. Quite a lot actually. Thursday was PT time. The workout was tough, fun and different from the other things I’ve done with my PT before. Usually while at gym doing something like legs, I’ll burn up about 400kcal. Little more or little less. This time, it was 700kcal. Intense, and I just might do that functional workout again, it was fun! 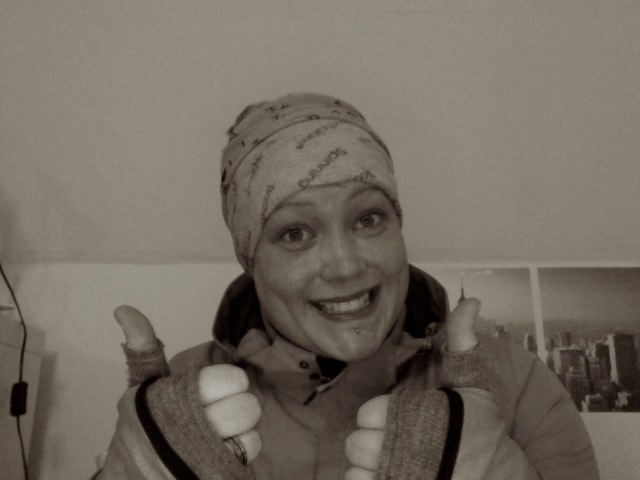 Thumbs up from a (little deranged) runner from up North! Winter running is more about what you wear than how fast you can run. Under armour, running shirt, wind and water proofed jacket, gloves, windbreaker pants, studs on the sneakers, woolen socks and a freebie buff headwear courtesy of my gym and you can think about leaving the house. It’s not fun to get to cold and it’s not fun to get too hot since there isn’t anything you can take off in the middle of running. 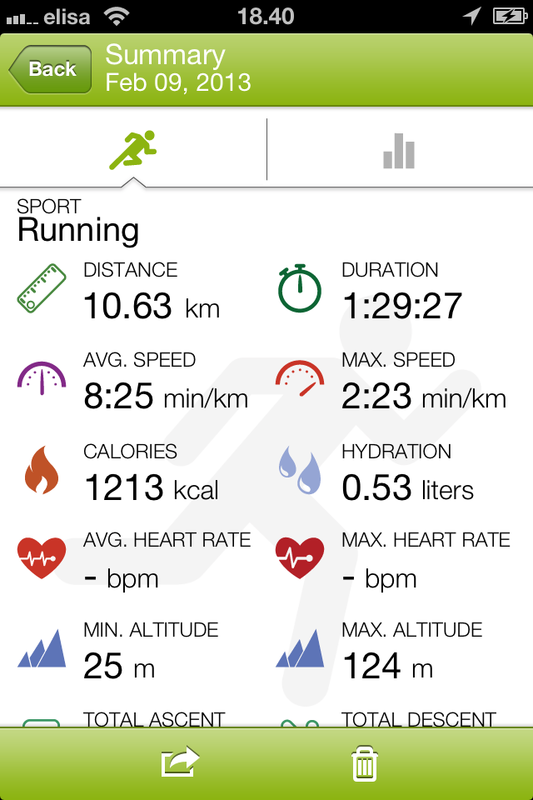 10,6km today. 22km on September 15th. I’m sure I can do it. I went bouldering today for the first time ever. And I enjoyed it. So much so that I want to go again. This will get me bankrupt this trying out new sports and falling for them, let me tell you. 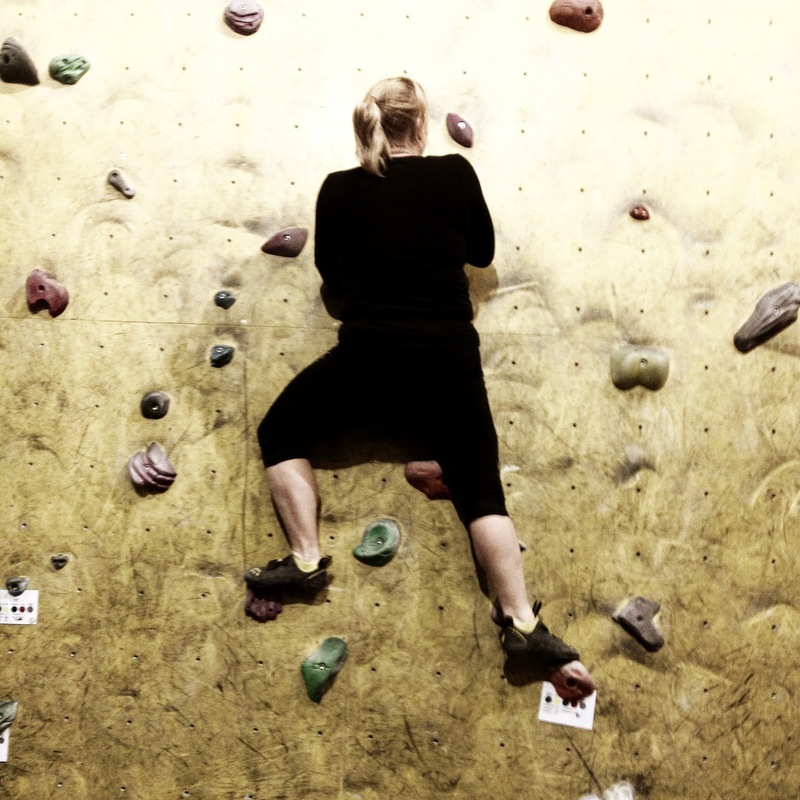 My hands are sore and my fingers hurt, but there’s something exhilarating finally conquering that one wall and making it all the way up. And it’s cool to know that I’m capable of doing another thing I thought I couldn’t do because I’m too heavy. Apparently I’m not, or I have more strength I imagined. Either way, all good. 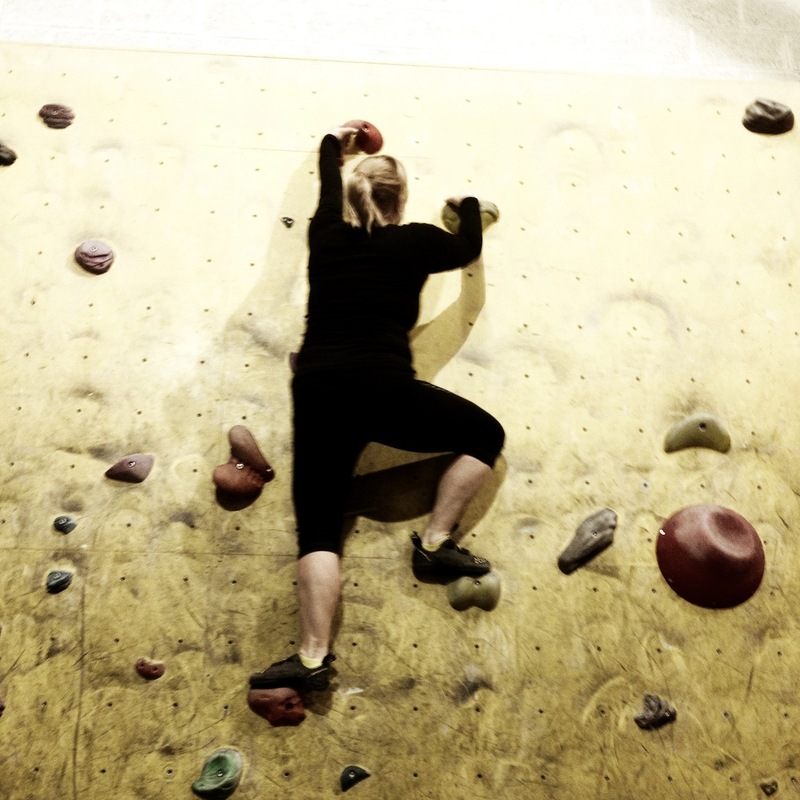 Do go and try if you have a change, bouldering was great! So one down, 5 to go. I know I know, I said five. But I just had to add gymnastics to the list. Had to.